The Muromachi period (1336-1573) is a period of Japanese history spanning the length of time the Muromachi bakufu (Japanese feudal government headed by a shogun) was in existence. The name "Muromachi" was taken from Muromachi-dori (street) in Kyoto, which is where the bakufu was based. The period is sometimes also called the Ashikaga period, so named because during this period it was the Ashikaga clan--the most powerful Muromachi shogunal family--who held the reins of power. In 1336, Takauji ASHIKAGA, in opposition to the Southern Court of Emperor Godaigo, created the Northern Court and formed the Muromachi bakufu. The period of the Northern and Southern Courts (Japan), during which two courts simultaneously existed, lasted until 1392, whereupon the Southern Court was unified into the Northern Court. Although it was at this point that the warrior clans finally reached the pinnacle of power, the bakufu&apos;s own financial and military power base was rather weak. The Muromachi bakufu, as the central administrative authority, enjoyed a preeminent position above everyone else, but the political system during the period was characterized more by the shugo daimyo, somewhat analogous to feudal barons in their control over their respective provincial areas, and though they were nominally under the direction of the bakufu, in practice the bakufu and the system of daimyo can be understood to have ruled jointly, with each mutually complementing the other in exercising and developing political and economic control. Starting in the latter half of the fifteenth century, with the Onin War and the Meio Coup, a roughly hundred-year era known as the Sengoku Period (Period of Warring States) began; during this period, the bakufu-daimyo system in place up until this point collapsed, and all the various provinces essentially became independent states unto themselves, while the shoen-koryo (private estates and public territory) system of land ownership disintegrated. Despite being a period of continuous warfare and turmoil, both domestic and overseas trade flourished, and significant technological advances were made in both agriculture and industry. It was from this time that Japanese pirates, known as "Wako," in western Japan began raiding the coasts of Korea and China. In the broadest sense, the term "Muromachi period" refers to the 235-year span during which the country was at least nominally ruled by an Ashikaga Shogun, beginning when Takauji ASHIKAGA enacted the Kenmu Code in 1336 before formally creating the bakufu in Kyoto in 1338, and ending when Nobunaga ODA exiled the fifteenth Shogun, Yoshiaki ASHIKAGA, in 1573; however, both the early and late stages of the Muromachi period can also be classified as the Northern and Southern Courts (Nanbokucho) (Japan) and Sengoku periods, respectively, so many favor a narrower definition of the Muromachi period, in which it is limited to the span from the unification of the two courts (in 1392) until the outbreak of the Meio Coup (in 1492, or alternatively the outbreak of the Onin War in 1467). 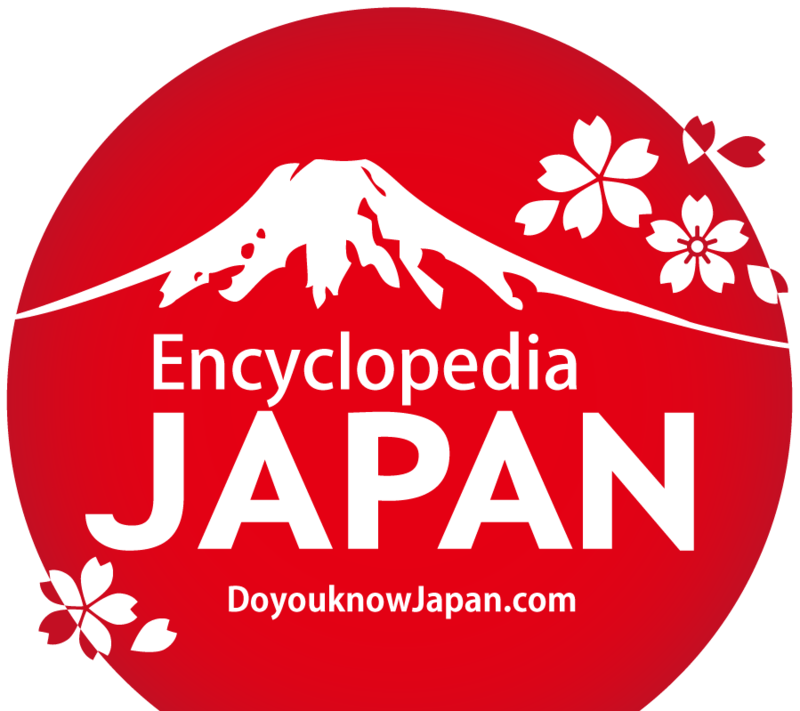 Concerning this narrower definition of the Muromachi period, some prefer to combine the two period names, Nanbokucho and Muromachi, to create a general term, the "Nanbokucho-Muromachi period. " Aside from the golden age of prosperity reached under the third seii taishogun (literally, "great general who subdues the barbarians") Yoshimitsu ASHIKAGA, the Muromachi period was fraught with wars and disorder, but on the other hand, not since before the Kamakura period had there been such opportunity for common people of obscure origins, farmers and tradesmen, to advance socially, and among all the eras of Japanese history, the Muromachi period was the first to produce notable people whose faces and lives appear in clear focus to later eyes. The Muromachi period can also be perceived, in general, as an era in which the ancient bastions of power collapsed and new powers rose to prosperity (via gekokujo, the phenomenon of "the lower overthrowing the higher"). In its early years, the period was characterized in particular by the conflict between Emperor Godaigo, who dreamed of reinstituting the ancient custom of direct Imperial rule, and Takauji, who placed more emphasis on preserving the status quo (this being the essence of the Northern and Southern Courts). Thereafter, while in Yoshimitsu&apos;s time the country was pacified, following the Onin War the entire country became engulfed in strife (the Sengoku period) and as the shoen-koryo system fell apart, a new system came into existence to replace it. Takauji ASHIKAGA crushed Emperor Godaigo&apos;s Kenmu Restoration, and after being appointed Shogun by Emperor Kogon of the Jimyoin lineage, he formally established his bakufu; Emperor Godaigo, on the other hand, escaped from Kyoto and established a new imperial court at Yoshino, ushering in the Northern and Southern Courts period--the period during which both the Northern and Southern Courts existed simultaneously. After Godaigo&apos;s death (in 1339) the Southern Court&apos;s power and influence waned, but internecine strife within the Ashikaga family led to the Kanno Disturbance, which eventually widened in scope to engulf the entire country, and this brought the Southern Court a reprieve, revitalizing it. And then, during the time of the second Shogun, Yoshiakira ASHIKAGA, a power struggle within the bakufu prompted several influential shugo daimyo, including Kiyouji HOSOKAWA, to defect to the Southern Court, while in Kyushu Tadafuyu ASHIKAGA raised arms against the bakufu and the Imperial Prince Kaneyoshi, Godaigo&apos;s son and heir, received an official missive, in which he was called the &apos;King of Japan,&apos; from the Ming court of China; these and other events served to boost the Southern Court&apos;s power and prestige, which allowed the Southern Court to continue its resistance until the third Shogun, Yoshimitsu ASHIKAGA, unified the Northern and Southern Courts (in 1392). When the second Shogun, Yoshiakira ASHIKAGA, died, the Kanrei (regent) Yoriyuki HOSOKAWA gave his support and advice to Yoshimitsu ASHIKAGA, the third Shogun, and helped usher in a new administration, and engineered Masanori KUSUNOKI&apos;s defection and other anti-Southern Court efforts as well as dispatching Sadayo IMAGAWA to Kyushu as part of a push to eliminate the Southern Court&apos;s forces there, while in domestic, nonmilitary affairs, he crafted a response to the problematic conflict between Nanzen-ji Temple, which represented the new Zen sect, and Mt. Hiei, representing the old guard of influential Buddhist temples, and also implemented the hanzei (half-tax). But in 1379, the Shiba clan launched a coup d&apos;etat, which came to be called the Koryaku Coup, and as a result Yoriyuki HOSOKAWA lost his influence, replaced as Kanrei by Yoshimasa SHIBA. Yoshimitsu also formed an auxiliary military force, called the Hokoshu, and worked to provoke two influential shugo daimyo families, the Yamana clan in the Meitoku Rebellion and the Ouchi clan in the Oei Rebellion, successfully suppressing both, and thereby strengthened the power of the bakufu, managing to unify the Northern and Southern Courts and eventually superceding the emperor&apos;s authority. When Yoshimitsu ASHIKAGA suddenly died, the fourth Shogun, Yoshimochi ASHIKAGA, was supported by Yoshimasa SHIBA, and refused to bestow the posthumous name of Emperor Daijo on Yoshimitsu; he also repudiated Yoshimitsu&apos;s policies, for example by temporarily halting the tally trade with Ming China, and sought to return the bakufu government to a more conservative stance. These measures were in response to the discontent felt by many warriors toward the policies, which heavily favored the nobility, enacted by Yoshimitsu in his final years. In 1423, he handed the position of Shogun over to his own child Yoshikazu ASHIKAGA, but Yoshikazu died young, and Yoshimochi himself died before he was able to choose a successor. 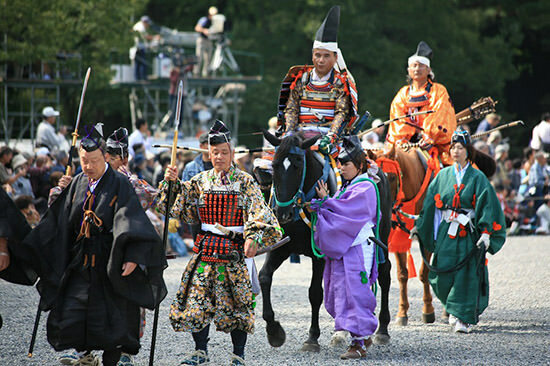 In the end the sixth Shogun was chosen by lots: Gien, who was a child of Yoshimitsu that had joined the priesthood, returned to secular life and became Shogun Yoshinori ASHIKAGA. 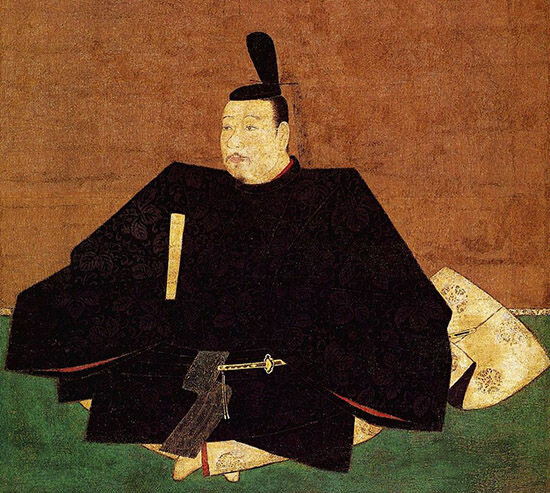 Although Yoshimitsu ASHIKAGA had succeeded in unifying the two courts and solidifying the central power and authority of the bakufu, after his sudden death, the country returned to the old oligarchic daimyo system, and the power of the Shogun waned by comparison. Moreover, the bakufu encountered new problems never before seen, including the peasants&apos; uprisings that began to occur and efforts to restore the Southern Court by gonancho (former Southern Court forces). Amidst such circumstances, even the daimyo wanted to avoid any further weakening of the bakufu&apos;s authority, since this authority was necessary for them to rule over their own territories. When Yoshinori ASHIKAGA, the head priest of Enryakuji on Mt. Hiei, was chosen by lot to become Shogun, powerful daimyo families like the Toki, Akamatsu, and Ouchi clans actively interfered in the shogunal succession, trying to shore up the shogunal authority. Furthermore, Yoshinori defeated the Kubo (Commander) of Kamakura, Mochiuji ASHIKAGA, who had rebelled against the bakufu, in the Eikyo Rebellion, and the remnants of his faction in the Yuki War, thereby ridding the country of any force that could openly strike down the Ashikaga Shogun, at first glance restoring peace and stability to society. But his mercilessly political stance caused a backlash among many, who harbored resentment against his &apos;reign of terror,&apos; and in the end he was assassinated by Mitsusuke AKAMATSU (in the Kakitsu Rebellion), which led to a steep decline in shogunal power. From that point on, the rank of Shogun was held by a series of young boys, and the actual administration of the country was run by a council of powerful daimyo. The eighth Shogun, Yoshimasa ASHIKAGA, while exceptionally gifted in the arts and in architectural design, had little interest in politics, so it naturally fell to his lawful wife Tomiko HINO, his inner circle of advisors, and the most powerful daimyo to rule and to solve disputes over authority; and upon the outbreak of the Kyotoku Rebellion, in which some sought to revive the fortunes of the Kubo of Kamakura, they failed to respond with sufficient force. Yoshimasa was not fortunate enough to have any sons, so he adopted his younger brother Yoshimi ASHIKAGA and appointed him his heir, but when Tomiko gave birth to a son, Yoshihisa ASHIKAGA, two rival factions, the faction supporting Yoshimi and the one supporting Yoshihisa, came into conflict. 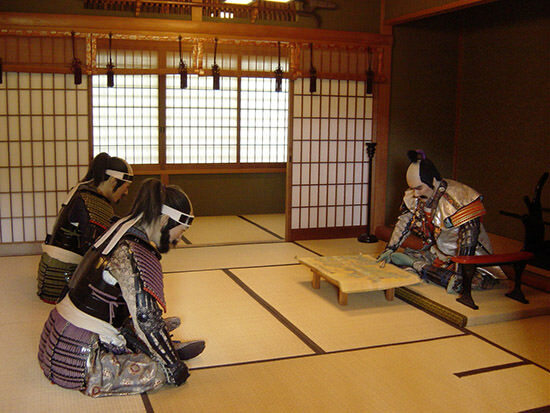 The dispute intensified due to the actions of two opposing Kanrei (regents), the former being Katsumoto HOSOKAWA and the latter being the powerful daimyo Mochitoyo YAMANA (Sozen). The conflict deepened still more after disputes arose within both the Hatakeyama and the Shiba clans, both families that had produced many Kanrei, over who should succeed to the headship of the clan, these new struggles combining with and further exacerbating the ongoing fight over the shogunal succession. Eventually, the conflict between each side led to all the daimyo in the country (except for daimyo from the Kanto during the Kyotoku Rebellion) concentrating their military forces in Kyoto, the governmental capital, until at last, with these large-scale armies in such proximity, armed conflict was inevitable, and the Onin War began. Yet despite the enormous size of the armies involved, morale among the various participating daimyo was low; this wasn&apos;t to say that they weren&apos;t hoping to be rewarded if their side was victorious, but as a result of this situation, inconclusive and intermittent fighting ravaged the capital for the next eleven years. This only caused Yoshimasa to lose what little interest he had left in politics, prompting him suddenly to relinquish the position of Shogun to Yoshihisa and retire, but the conflict between the two armies continued, and even after the successive natural deaths by illness of each army&apos;s supreme commanders, Katsumoto HOSOKAWA and Sozen YAMANA, the various daimyo did not withdraw their forces. The daimyo did not in fact withdraw their soldiers until successive uprisings and unrest broke out in their home territories due to war weariness from the cost of having to support a war for so long. Hence, the Onin War ended without any sort of conclusive victory for either side; the only thing it had accomplished was the near-total destruction of the capital, Kyoto. However, the armed conflict that began in the Onin War spread out to more rural areas and continued even after the fighting petered out in the capital, and in Kanto, the Kyotoku Incident extended the bloodshed for almost ten additional years after the Onin War ended. Moreover, somewhat ironically, the very daimyo that had begun by making light of the Shogun&apos;s authority found that when that shogunal authority was truly lost, their own authority and sovereignty as shugo (governors) vanished, and many were overthrown by their deputies or by commoners from their provinces in the phenomenon known as gekokujo (the lower overthrowing the higher); worse yet, peasant uprisings and religious leagues, of which the Kaga Ikko Ikki (a religious league of commoners in Kaga) and a similar Ikki in Yamashiro Province are representative examples, began to threaten the lords&apos; control over their lands. 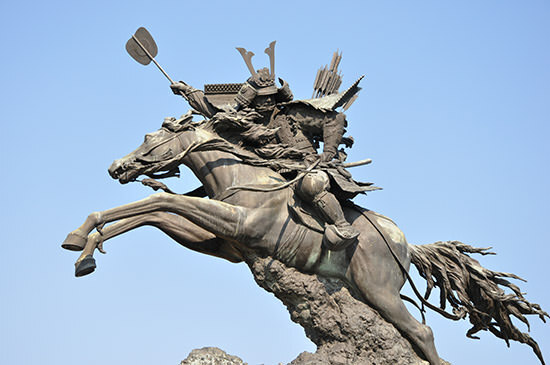 The Onin War completely eclipsed shogunal authority and stripped the bakufu of much of its power, but the Shogun was able to hold onto some measure of de facto authority through his military power. After the war, the Shogun&apos;s former authority transferred to the Kanrei Masamoto HOSOKAWA, who rose to prominence as a figure of tremendous power. Following Yoshihisa&apos;s death, the position of Shogun passed to Yoshimi&apos;s son Yoshitane (more commonly known as "Yoshiki") ASHIKAGA, but when Masamoto, who was embroiled in a conflict with Yoshiki, struck down the former Kanrei Masanaga HATAKEYAMA, who was allied with Yoshiki, the Meio Coup began; Yoshiki was driven into exile and Yoshizumi ASHIKAGA was installed as the new Shogun. The view that the Sengoku period began with the Onin War was the dominant one for a long time, but recently the view holding that the Sengoku period began with the Meio Coup has become more prevalent. With this coup, in which the Kanrei, a retainer of the Shogun, deposed the Shogun, Masamoto managed to create a hereditary monopoly over the position of Kanrei for his Keicho branch of the Hosokawa clan, and moreover arrogated to himself the right to depose and appoint the Shogun, but such a state of affairs did not continue for long. He was assassinated by members of his own family over who would be chosen as his successor. Thereafter, the two candidates seeking to inherit the position of Kanrei, Masamoto&apos;s adopted sons Sumimoto and Takakuni HOSOKAWA, began to fight over who would be chosen. When the former Shogun, Yoshitane (Yoshiki), learned of this internecine struggle in the Hosokawa clan, he marched on the capital together with Yoshioki OUCHI, and after receiving a welcome from Takakuni HOSOKAWA, he reclaimed his former position as Shogun. But when Yoshioki OUCHI was forced to return to his home provinces due to unrest there, Takakuni took Yoshiharu ASHIKAGA, the orphan son of Yoshizumi, who had died in exile, and raised him up as the new Shogun, defeating the combined armies of Yoshitane and Sumimoto. In the end, Takakuni was crushed by Sumimoto&apos;s son Harumoto HOSOKAWA, who forced all to acknowledge Yoshiharu as the new Shogun and took the position of Kanrei for himself, thereby putting an end to the internecine strife that had plagued the Hosokawa clan for over twenty years. But as a result of this series of internal squabbles, the bakufu itself had fallen into decline, and was now capable of exerting control only over the area immediately surrounding Kyoto, transforming into an institution that just barely managed to take the place of the shugo and survive as the titular authority over the Sengoku-period daimyo who each struggled to defend his authority over his own territory. However, Harumoto&apos;s murder of the meritorious retainer Motonaga MIYOSHI, who had climbed to the highest rungs of power within the government, had a profound backlash in later years. Nagayoshi (Chokei) MIYOSHI, Motonaga&apos;s son, raised an army along with his brothers to hunt down Harumoto, who was driven into exile, while the Shogun Yoshiteru ASHIKAGA was converted into a mere puppet. Chokei raised another puppet up to be Harumoto&apos;s successor as Kanrei, meanwhile usurping the Kanrei&apos;s authority himself, and managed personally to seize the full power and authority of the shogunal government from his position as one of the Shobanshu (Shogunal advisor). But in his later years he was robbed of any actual power by his chief retainer Hisahide MATSUNAGA, and died of illness soon after. Shogun Yoshiteru observed these events and resolved, even as he accepted the support of Sengoku daimyo families closely allied with the Shogun, especially Kenshin UESUGI (the Kanrei of the Kanto region), to try to wrest back the power and prestige of the office of Shogun, only to be assassinated during a coup d&apos;etat (known as the Eiroku Incident) by the faction led by Matsunaga, who was the primary target of Yoshiteru&apos;s efforts. Yoshiteru&apos;s younger brother Yoshiaki ASHIKAGA--supported by Nobunaga ODA, a former vassal of the Kanrei Shiba clan--entered the capital and forced Matsunaga and his followers to capitulate before being appointed Shogun. But eventually, Nobunaga, who aimed to create a new system of government consistent with his motto of &apos;Tenka fubu&apos; (warriors rule all under heaven), and Yoshiaki, who was trying to revitalize the old system of Shogun and bakufu, were bound to become enemies, and in 1573 Yoshiaki was driven out of Kyoto by Nobunaga, and with this, the bakufu system was dismantled and absorbed into a new governmental system created by Nobunaga. Thereafter, using the fact that Yoshiaki had never officially been dismissed from the post of Seii taishogun as a pretext, movements did arise in various provinces to restore the bakufu to power, but against the momentum of the new governmental structure created by Nobunaga and Hideyoshi TOYOTOMI, such efforts were entirely fruitless, and so the Muromachi bakufu--and the Muromachi period itself--is considered to have ended at the point Yoshiaki was driven from Kyoto. For more information on circumstances in the provinces, see the article on the Sengoku period. Agricultural production began to increase starting in the Kamakura period. New agricultural techniques were gradually introduced to the Kanto from western Japan, including irrigation techniques that utilized the planting of two crops a year, oxen and horses to plow, and water wheels, as well as increased production and use of manure fertilizer, leading to improved crop production; moreover, more concentrated and diverse agricultural efforts were launched thanks to advances in agricultural technology, which led to the development of a system of villages that spurred the growth of self-reliance among farmers. Plants that served as the raw materials in handicraft industries, including sesame, mulberry, and paper mulberry (kaji), also started to be cultivated. And starting in the sixteenth century or thereabouts, cotton, which heretofore had had to be imported, began to be cultivated locally in Mikawa Province. As farmers made progress towards political independence, artisans also were freed from the control of the imperial court--which had dominated their livelihoods until this point--and achieved independence, leading to the general proliferation of handicrafts and the establishment of markets. Products included everyday items, farming tools, textiles, and paper. Many of the products considered specialties of specific prefectures today have their origins in the Muromachi period, including Nishijin silks, luxury items that were made in the Nishijin district of Kyoto from raw silk imported from Ming China. Increased agricultural production and the growing independence of artisans caused markets to spring up and expand in places ideally situated for commerce between or within cities. Market types ranged from the Kamakura-period Sansai markets, which were held three times a month, to Rokusai markets that were held regularly, six times a month, and in urban areas many types of stores sprang up, ranging from permanent shops with display shelves to wholesale markets and wholesale stores that sold only one specific product. Traveling peddlers were called "renjaku merchants" (so named for their use of renjaku, a wooden frame for carrying goods on one&apos;s back). 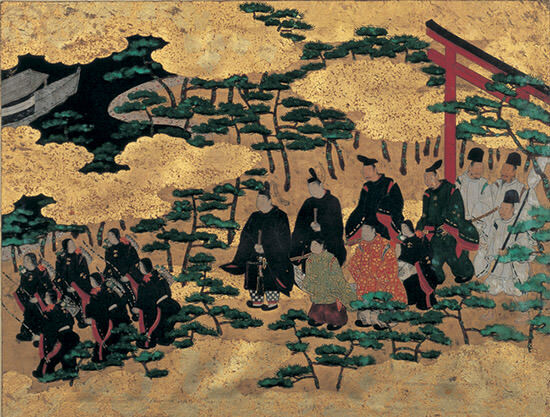 From about the Heian period onwards, there was an insular, monopolistic system of commerce centered around the za (guilds), under which each za had exclusive rights to sell their products tax-free to specific noblemen and/or temples and shrines, but with the free market, open guild system introduced thanks to the rise of the sengoku daimyo, who started to allow independent (i. e. , non-guild) businesses to be created, progress was made towards ending the oppressive guild system. The standard currency in use during the period was the Eiraku tsuho (Chinese Ming-dynasty copper coins); the Muromachi bakufu never minted its own coins, instead importing these Ming copper coins by means of Japan&apos;s trade with Ming China and then having them circulate. But the coins in circulation were insufficient, leading to the circulation of both privately minted and bad currency (which contained less than the full amount of copper), which prompted the bakufu to issue a series of laws singling out low-quality coins and banning them from use; the bakufu also set an exchange rate between the different currencies in circulation. The founding of and subsequent commerce at markets spurred cities to grow and develop. Moreover, during the Muromachi period the pilgrimage to the Grand Shrine at Ise, as well as the pilgrimage to the Thirty-Three Temples in Kinki with a statue of Avalokitesvara, were very much in vogue, and combined with the construction opportunities afforded by the fighting and conflagrations of the Onin War, this contributed to the growth and development of a wide variety of urban areas. Furthermore, shugo daimyo began establishing and building castle towns. Cities like Sakai (part of the Osaka metropolitan area today) and Hakata (the modern-day Fukuoka City, Fukuoka Prefecture) were free cities self-governed largely by the egoshu, associations of merchants, and beginning with the Onin War, such cities armed themselves and bolstered their defensive capabilities, developing quite an autonomous, free spirit. Sakai, a representative example of the free cities in the medieval period, was rated by missionaries in some surviving accounts as &apos;the Venice of the East,&apos; and continued its autonomy until it was later forced to capitulate to Nobunaga ODA. A similar style of autonomy could be seen in the character of Jinaicho (temple towns), religious communities that coalesced around temples of the Ikko sect. Representative examples of Jinaicho included those in Ishiyama of Settsu Province (modern-day Osaka Prefecture), in Yoshizaki Mibo of Echizen Province (Fukui Prefecture today), and in the city of Tondabayashi (present-day Tondabayashi City, Osaka). 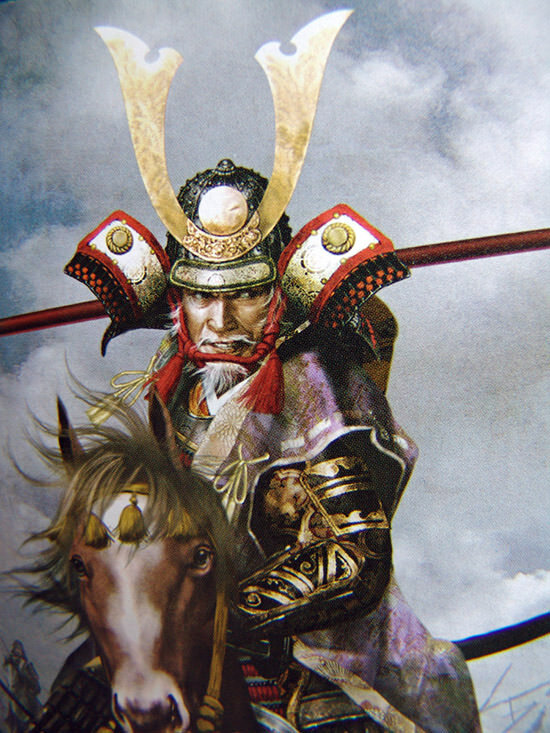 Once again, it was Nobunaga that quelled the Ikko Ikki (popular religious uprisings) and dismantled the Jinaicho. Due to the dissemination of the money-based economy and (economic) growth among the commoners, provincial cities also began to develop, and the highways were maintained to boost circulation of goods and trade in remote areas and facilitate the collection of the annual taxes, which led to lively cultural exchanges in rural culture. 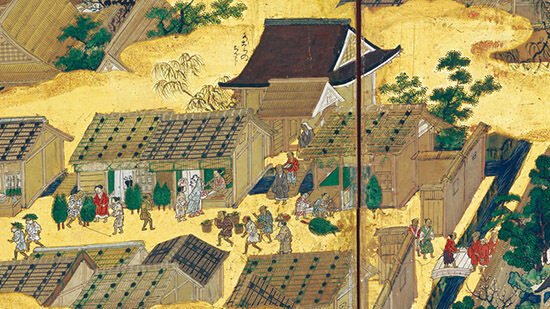 Land-based trade relied on ground transportation traders like bashaku (who used packhorses) and shashaku (who used carriages), while sea-based trade was dependent on monmaru (shipping agents), relay traders who utilized light trading vessels to transport goods or items sold via consignment. Barriers and checkpoints were erected by the bakufu or by influential temples, shrines, or local lords at key points around ports and on highways, collecting tolls (sekisen) for land and customs (tsuryo) for sea travel and trade. Examples of such checkpoints include Kyoto&apos;s seven barrier stations. 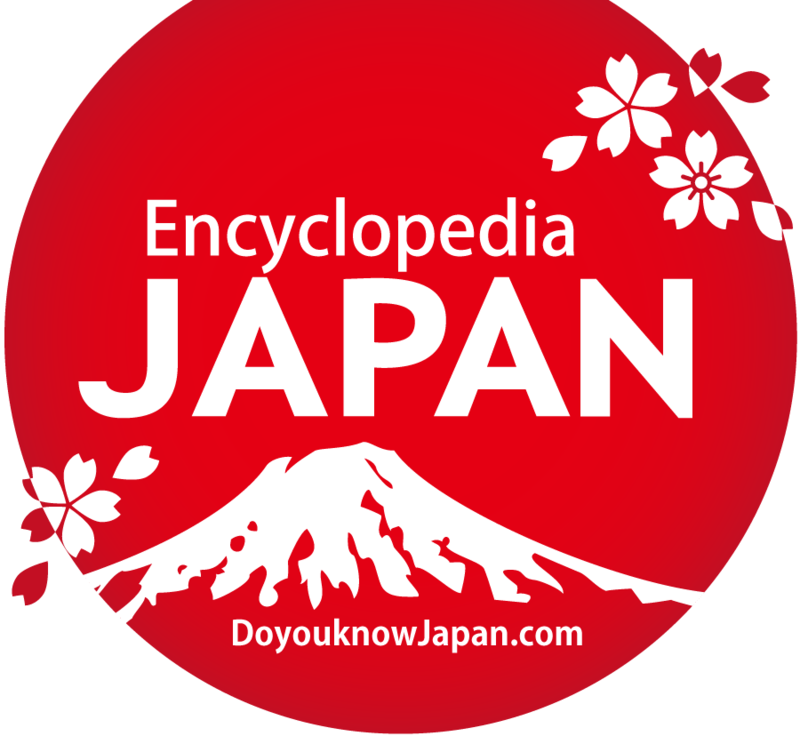 Pirates who held no allegiance to any state, called Wako (Japanese pirates), were active during the Muromachi period; the term "early Wako" is used to describe such pirates in the fourteenth century, while "later Wako" refers to Wako of the fifteenth century. The Wako were active throughout East Asia, along the coasts of China and the Korean peninsula to Southeast Asia, and were involved in acts of piracy and smuggling. Moreover, this period witnessed, in terms of international history, the dawning of the age of exploration, which meant that Europeans, notably the Portuguese and the Spanish, began to be active in East Asia. Licensed trade missions--to be distinguished from smuggling and piracy by Wako--set sail from Hakata, Sakai, and Bonotsu (today&apos;s Bonotsu-machi, Satsuma City, Kagoshima Prefecture), and goods were checked and inspected upon arrival in Ningbo, China. Yoshimochi ASHIKAGA did temporarily halt trade with China, but was resumed by Yoshinori ASHIKAGA. The Hosokawa and Ouchi clans clashed over who would hold true authority over the trade (in what was called the Ningbo Turmoil); following this, the Ouchi clan managed to seize de facto control over the China trade. Embassies from Korea: after an envoy and royal missive was sent to Korea by Yoshimitsu ASHIKAGA, a reply was dispatched to Yoshimitsu via an emissary from Shin (Yoshimi) in 1375, thereby opening official communications. These relations continued into the middle of the fifteenth century. The Oei Gaiko (the Foreign Raiders of the Oei era): the 1419 (Oei 26) raid on Tsushima island by Korean raiders. The Sanpo Disturbance: an insurrection by the Japanese settlers living in Sanpo (the city of Naijiho, today known as Jinhae city) and Fuzanho (the city of Busan, or Shiho). When the Sho clan, the royal family of Chuzan (the middle mountain), unified the Sanzan (Three Mountains) and established the Ryukyu Kingdom in 1492, they received an official seal from the Ming court of China. In addition to Ming China, on whom the Ryukyu Kingdom was dependent economically and for trade, the kingdom was also involved in a unique form of transit trade throughout a wide swathe of East Asia, including Korea, the kingdom of Malacca (modern-day Malaysia), the Pattani Kingdom, and the kingdoms of Annam (today&apos;s Vietnam) and Ayutthaya. In 1414, the Shogun Yoshimochi ASHIKAGA responded to the tributary gifts sent to him from the Ryukyu Kingdom with an official letter, while in 1441, Yoshinori ASHIKAGA declared the Ryukyu islands to be a vassal state of the Shimazu clan, lords of Satsuma Province; furthermore, the bakufu created the office of Ryukyu Hoko (shogunal magistrate of the Ryukyus) in an attempt to exert control over Ryukyu trade, meaning that it was during the Muromachi period that the Ryukyus began to be seen as part of Japan. In the closing days of the Kamakura period, a revolt by the people of Ezo had thrown the Kamakura bakufu into turmoil, and after the bakufu&apos;s collapse, the Ando clan had created flourishing strongholds out of thirteen ports, but eventually the Ando clan was brought to ruin by the rising fortunes of the Nanbu clan. The power and influence of ethnic Japanese (wajin) in Ezo (modern-day Hokkaido) began to spread, leading to a clash with the native inhabitants, the Ainu people. In 1457, the Ainu tribes, led by the great Ainu chieftain Kosamaynu, rose in revolt, engaging in battle with the Kakizaki clan and with Nobuhiro TAKEDA. Two distinct cultures flourished during the Muromachi period, the Kitayama culture of Yoshimitsu&apos;s day and the Higashiyama culture of Yoshimasa&apos;s time. Given the energy and vitality of the Northern and Southern Court period, the (Kitayama) culture during the reign of the third Shogun, Yoshimitsu, was centralized and authoritarian, influenced both by aristocratic and warrior culture and by Chinese culture, while by contrast, the (Higashiyama) culture during the reign of the eighth Shogun, Yoshimasa, was based in commoner culture and was heavily influenced by Zen Buddhism, for example in the twin aesthetic principles of wabi-sabi (the beauty and pathos of loneliness, simplicity, and imperfection). 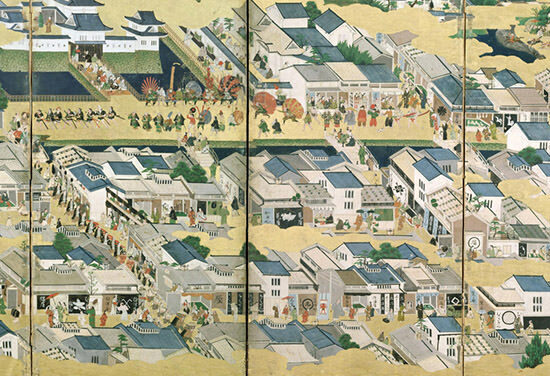 Taking advantage of the fact that the capital, Kyoto, lay in ruins as a result of Onin War, culture began to spread out into the provinces, and even disseminated down to the commoners, who had been advancing socially thanks to the development and growth of soson (peasant villages) and new urban areas in the provinces. Many aspects of Japanese culture today considered iconic of Japan, including the tea ceremony, Noh theater, and shoinzukuri (a traditional Japanese architectural style) were created during this period. 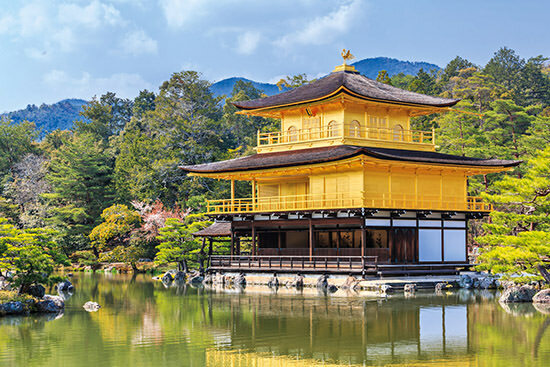 In terms of architectural design, Rokuon-ji (Kinkaku-ji) Temple, which Yoshimitsu had built in the Kitayama region of Kyoto, was a blend of palatial Heian style and Zen Buddhist style architecture, and as such is an excellent example of Kitayama culture. Jisho-ji (Ginkaku-ji) Temple, which Yoshimasa had built, is a combination of Zen Buddhist with shoinzukuri-style architecture. Within Jisho-ji Temple, the room called the Togudo Dojinsai was a four and a half tatami mat room; it is in what has been called early shoinzukuri-style, and is a prototypical example of Japanese-style architecture. 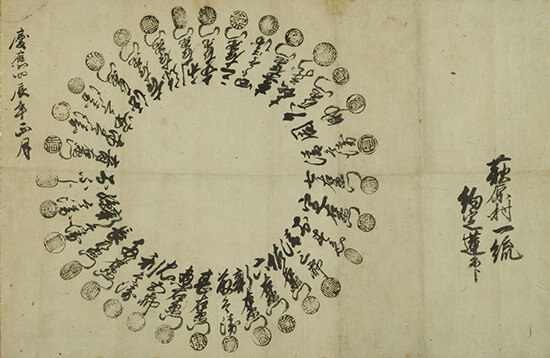 Renga poetry, a form of waka where the first and last stanzas of the poem are linked together, had been growing in popularity beginning in the Kamakura period, but in the Muromachi period it entered a golden age. Renga masters like Sogi, Yoshimoto NIJO, Socho and Shinkei appeared, and daimyo as well as nobles began to gather at temples and shrines for renga parties. Renga eventually spread from the nobility down into the general (commoner) public. Regarding the tea ceremony, the tocho (tea leaf contests) and cha yoriai (tea parties) held in the Northern and Southern Court period developed, thanks to Shuko MURATA, into wabicha (a tea ceremony characterized by an affecting rusticity and simplicity) in the Higashiyama period, which was perfected by Sen no Rikyu in the Sengoku period. In terms of painting, the Higashiyama period saw the emergence of Sesshu, who surpassed monk-painters like Mincho, Josetsu, and Shubun and perfected the art of ink painting. Motonobu KANO blended techniques for both ink and yamato-e (classical Japanese-themed) painting, founding what would become known to later generations as the Kano school of painting. As for sculpture, a new sculptural form, the Noh mask style of sculpture, was developed in addition to Buddhist sculpture, the dominant sculptural mode heretofore. Kanami and his son Motokiyo ZEAMI, who both enjoyed the patronage of Yoshimitsu ASHIKAGA, were able to take the Sarugaku (a style of comedy) and Dengaku (a musical, rhythmic ritual dancing concerned with rice) that had existed from the Kamakura period and perfect them into Noh theater. Zeami published his theories on the performing arts in his &apos;Fushi kaden. &apos;He also created the Kyogen, a type of dialogue-driven comedy. The Muromachi period can be described as the era in which, thanks to the establishment of the soson (peasant villages) and the development and growth of urban areas, the cultural mantle passed to commoners. Among the common people, otogizoshi (fairy-tales), collections of short tales, were available to be read, while Kyogen, kouta (ballads) and kowakamai (a type of dance) were all popular forms of entertainment for commoners. In terms of culinary culture, the Muromachi period saw the emergence of many of the most important and iconic staples of Japanese cuisine, including miso paste, soy sauce, and tofu. With the exception of soy sauce (which had not widely proliferated throughout western Japan until the early Edo period nor spread into Edo itself until the mid-Edo period), these were items that had been introduced from China and then disseminated thanks to the commercial and industrial growth seen during the Muromachi period. Academic scholarship during the Muromachi period was more or less limited to Zen monks and the nobility. Research into both Chinese literature and neo-Confucianism was conducted mainly in the Gozan (the five great Zen temples) of Kyoto, leading to the appellation "Gozan literary scholarship. 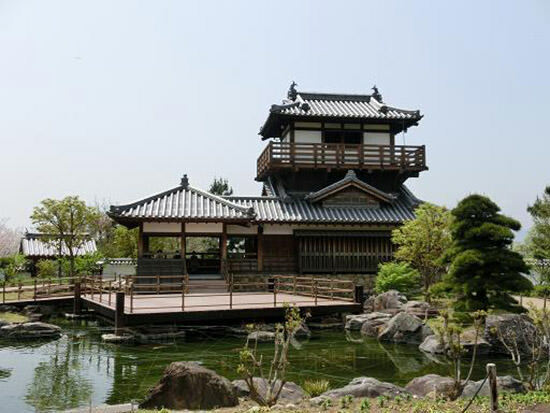 "The Gozan temples enjoyed the patronage of the bakufu, and in fact served as advisors and diplomats for Yoshimitsu ASHIKAGA in the trade between Japan and Ming China. The now effectively powerless nobility busied themselves by researching the intricacies of court practices, waka poetry, and classical literature, and indeed, it is thanks to the efforts of aristocrats like Kaneyoshi ICHIJO, Tsuneyori TO, and Sanetaka SANJONISHI that the classical canon was preserved. When Kyoto was reduced to ruins during the Onin War, nobles and Zen monks relocated to the countryside, further spreading scholarship and culture in the provinces and advancing commoner culture as well. The Kanpaku (chief imperial advisor) Kaneyoshi ICHIJO moved into the household of the Asakura clan in Echizen Province, while his son settled permanently in Nakamura of Tosa Province, thereby founding the Tosa branch of the ICHIJO clan. Genju KEIAN was invited to come to both Higo and then Satsuma provinces, leading him to found the Satsunangaku school, a school of Neo-Confucianism, there in the countryside, which fell into decline during the Edo period; Baiken MINAMIMURA was invited to Tosa, where he created the Kainangaku school, which was also a school of Neo-Confucianism. And in the Kanto during this same period, Norizane UESUGI worked to restore the Ashikaga Academy. The Ouchi clan as well as the merchants of Sakai and Nara began to produce their own unique publications. Zen Buddhism spread widely among the warrior class, and influenced the development of Muromachi culture vis-a-vis the decisions and so forth regarding Buddhism made by the Gozan temples--which were under the patronage of the military families--and thereby managed to combine warrior and aristocratic culture together. The Nichiren sect started to spread in urban areas while the monk Nisshin began proselytizing work in Kyoto, and the townspeople combined forces into large groups of believers and struggling with the secular Doikki (land-based bands of peasants). 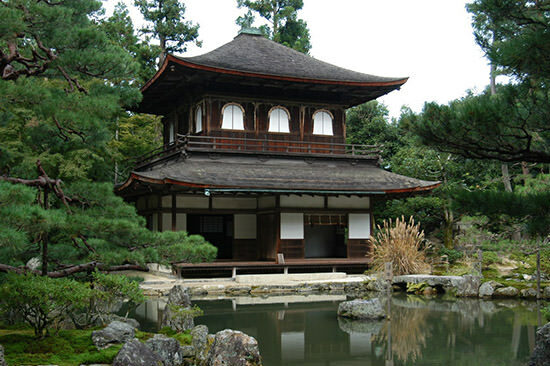 In 1536 the Nichiren sect came into conflict with Enryaku-ji Temple on Mt. Hiei, leading into the Tenbun Hokke no Ran (The Lotus War of the Tenbun era). Among the common people, the Soto school of Zen Buddhism flourished. 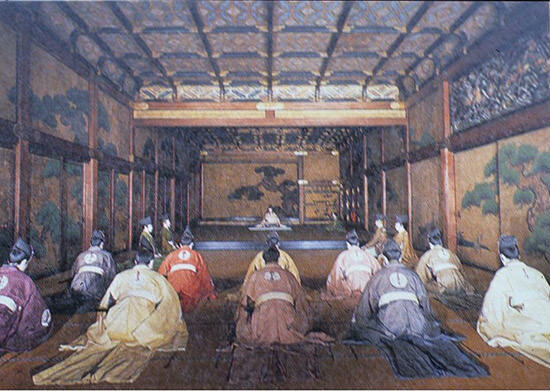 The religious establishment at Hongan-ji Temple, which had been revived by Rennyo, of the Jodo Shinshu (True Pure Land sect), began to form large groups of laymen followers, called (Buddhist) "lecture meetings," and after the Onin War, these groups rivaled the Sengoku daimyo, who had supplanted the shugo daimyo, in strength; they began to be referred to as the Ikko sect, and united by faith, fell into opposition with the power and influence of the shugo daimyo. The popular uprisings (ikki) in the provinces of Kaga and Yamashiro crushed the daimyo in those provinces, leading Nobunaga ODA and others to ruthlessly and utterly suppress them; once Hongan-ji Temple in Osaka had fallen, however, such uprisings ceased and the country became tranquil again. Nobunaga worked to provoke a controversy between the monks of the Nichiren and Jodo sects (which came to be known as the Azuchi religious dispute). Regarding Shinto, Kanetomo YOSHIDA created a fusion of religions known as Yoshida Shinto. In 1549, Christian missionaries, notably St. Francis Xavier, arrived from Europe and began spreading Christianity as well. The "Masukagami" is the last of the four "kagami" history books (books with the word "kagami," or "mirror," in the title), and covers the period from Emperor Go-Toba&apos;s enthronement to Emperor Go-Daigo&apos;s triumphant return to Kyoto from exile in 1333, focusing on trends within courtly society. The &apos;Taiheiki&apos; (Record of the Great Peace) describes the Northern and Southern Court period, from Emperor Godaigo&apos;s enthronement to Yoriyuki HOSOKAWA&apos;s appointment as Kanrei; characterized by its strong stylistic similarities to war chronicles, it also gained popularity among the commoners through the reciting of tales by monks from the Muromachi period through to the Edo period, and was so often recited that such readings aloud, regardless of the title of the work being read, came to be called &apos;Taiheiki readings. &apos;The &apos;Baishoron&apos; is a historical work written with special emphasis on supporting the legitimacy of Takauji ASHIKAGA&apos;s rise to power, but it was completed faster than the Taiheiki and relied on a rich assortment of documents. The &apos;Jinno shotoki&apos; (Record of the Imperial Succession) was a work written by Chikafusa KITABATAKE and argues for the legitimacy of the Southern Court line of succession, that it was unbroken since the age of myth, in an attempt to drum up support for the Southern Court in the Kanto; in later times, it was to have a powerful influence on ideologues trying to promote a historiographic view of Japan as divine and Emperor-centered. The &apos;Nantaiheiki&apos; (Defects of the Taiheiki) is a historical work written by Sadayo IMAGAWA in which he attempts to correct the errors in the Taiheiki, though its primary focus is on the achievements of the Imagawa clan. The &apos;Meitokuki&apos; (Chronicle of the Meitoku Era) records the events and aftermath of the Meitoku Rebellion, while the &apos;Oeiki&apos; (Chronicle of the Oei Era) describes the Oei Rebellion and the unification of the Northern and Southern courts; the &apos;Eikyoki&apos; focuses on the situation in the Kanto, especially vis-a-vis the Eikyo Rebellion, whereas the &apos;Oninki&apos; records the circumstances of the period from Yoshimasa ASHIKAGA&apos;s reign up until the Onin War. There is also a historical work, the &apos;Nochi kagami&apos; (Later Mirror), that was compiled by the Edo bakufu during the Bakumatsu period (the mid-eighteenth century), which describes the events from 1333 through 1597 in chronological order; the book very straightforwardly reveals each of the historical sources consulted for each event described.